As if we didn't already know... 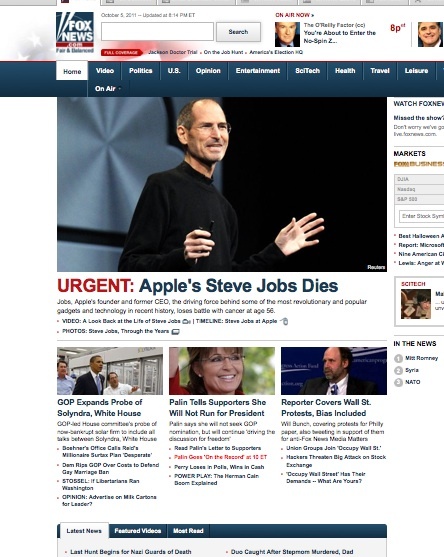 Unfortunately for Palin, Steve Jobs had the bad manners to die right around the time she made her announcement. Guess who got top billing on Fox? Answer after the jump. Poor Sarah Palin. She was upstaged by Steve Jobs in her effort to upstage Chris Christie. Palin will be on On The Record with Greta Van Susteren to discuss this "news."